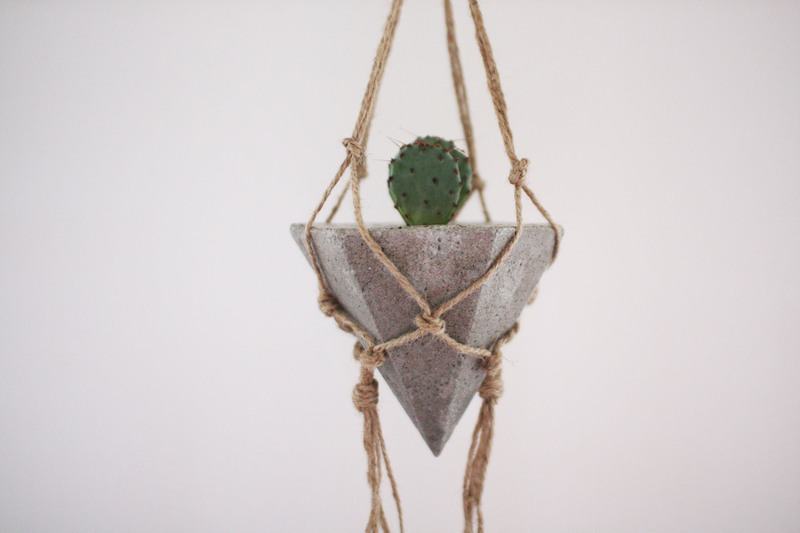 These new hanging concrete planters are the result of a recent experiments in macrame and some fantastic new pyramid moulds. 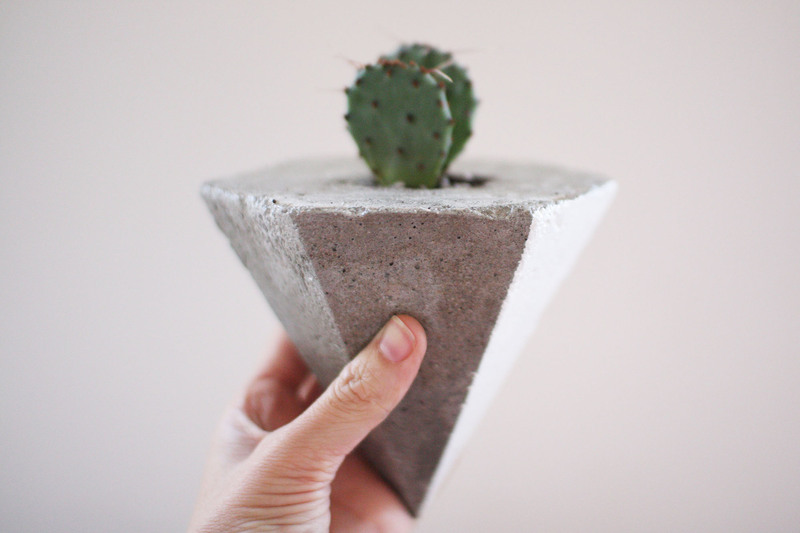 There are three different pyramid shapes – triangle, square and hexagonal – plus a cone, and each has a hole for a small plant. 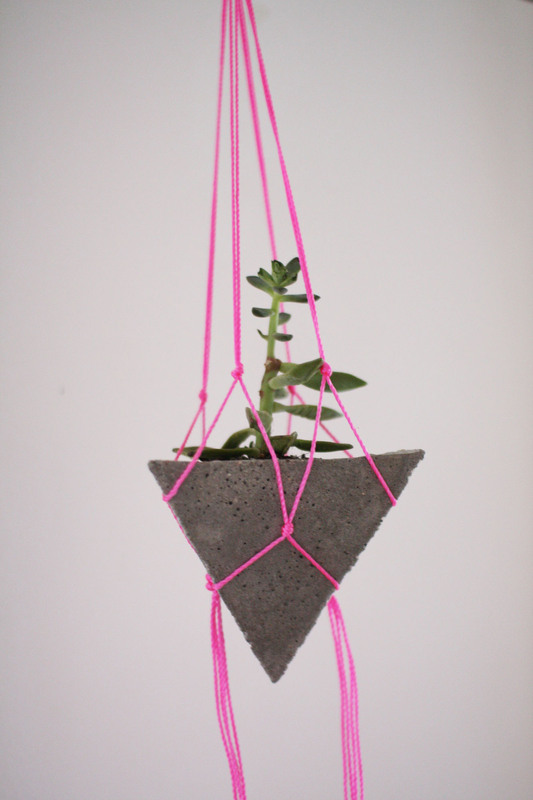 Each planter comes with a handmade macrame hanger in white, pink or natural twine. 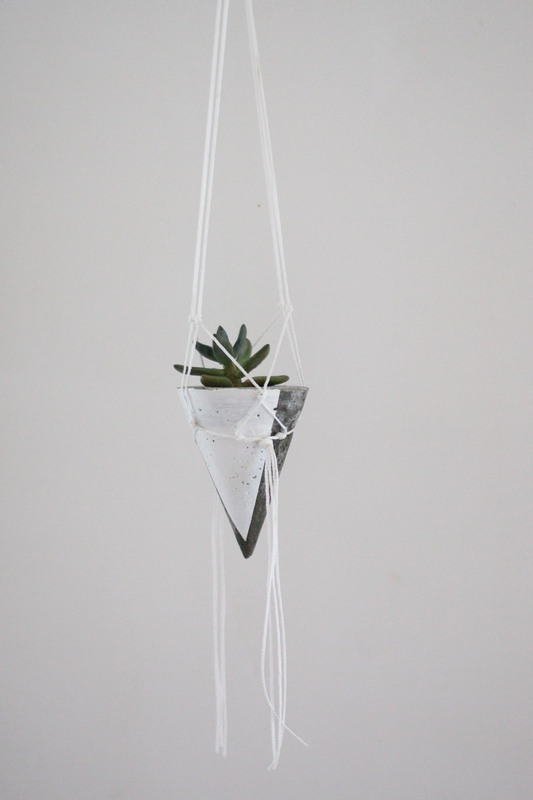 These are available now from Tasi Masi! 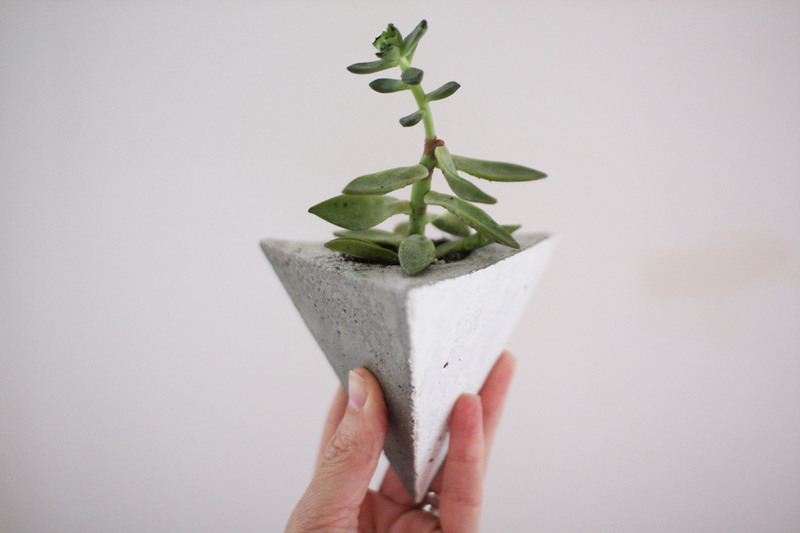 29 Sep	This entry was published on September 29, 2014 at 9:09 pm. 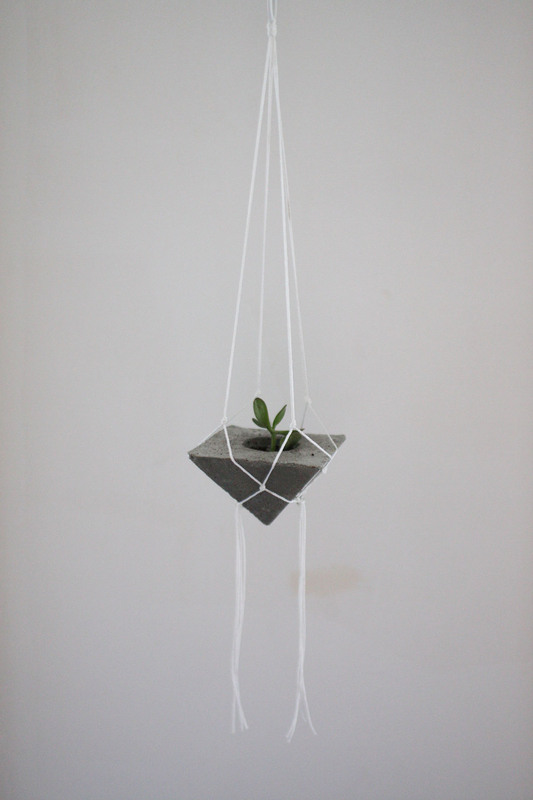 It’s filed under tasi masi and tagged concrete, concrete planters, handmade, hanging planter, macrame, shop, tasi masi. Bookmark the permalink. Follow any comments here with the RSS feed for this post. 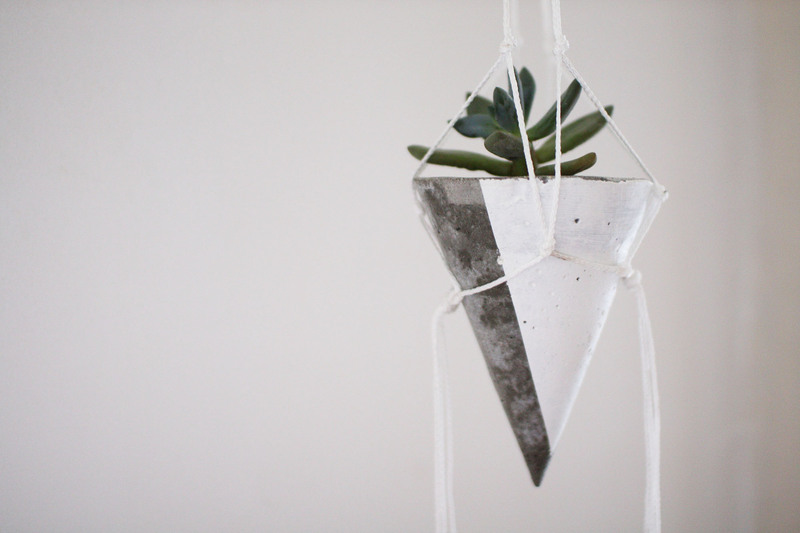 So in love, love the simplicity and design!